Sticky-note stone block! 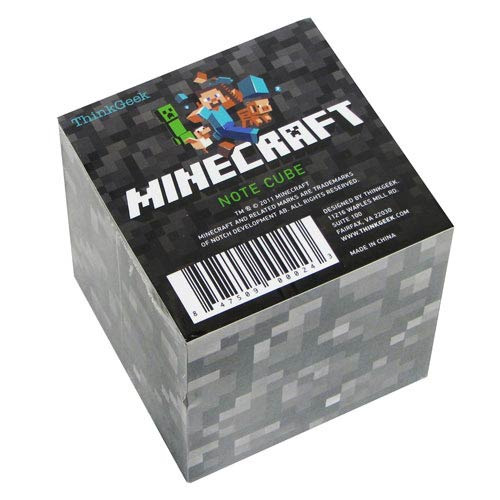 Designed to resemble a stone block from the open-world video game Minecraft, the Minecraft Notecube Sticky Note Pack includes 600 pages of notes. It leaves no cobblestone residue once fully mined! Each note included in the Minecraft Notecube Sticky Note Pack measures 3-inches square.